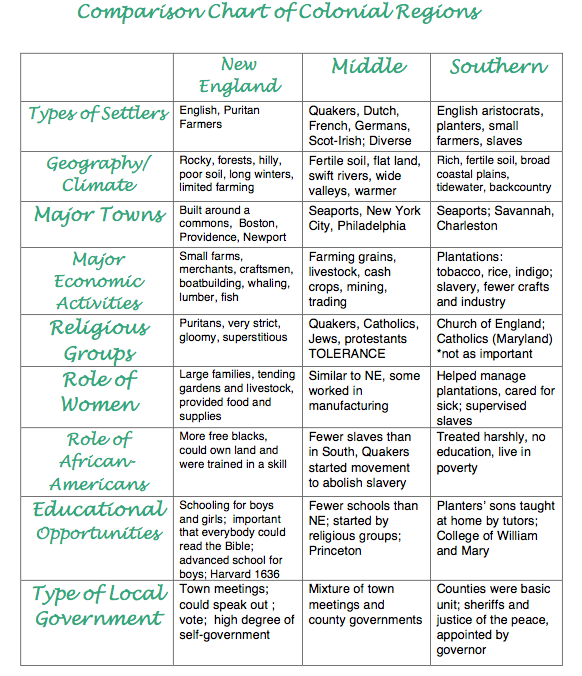 In this chapter, students will be introduced to the geography of the English colonies and will then study life in the New England colonies. Check out the links below for additional information on this chapter. Chapter 5 Organizer - This is a copy of the blank chapter organizer and study guide (notes). This is due on the day of the chapter test. Extra Credit Project - Create an advertisement for one of the 13 colonies.